Drinking makes a person lose his inhibitions and give exhibitions. One reason that I don't drink is that I want to know when I am having a good time. In my travels, I have noticed that in some countries drinking has become a national pastime. If you don't drink, they look at you as if there is something wrong. Their motto is: "It doesn't matter how bad your English is, as long as your Scotch is good." If a banker asked them what their liquid assets are, they would bring two bottles of Scotch. Drinking and smoking are glamorized today. It all starts with the first time. 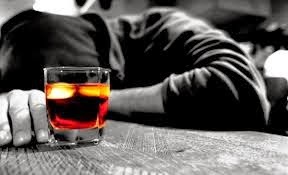 If you ask people why they consume alcohol or take drugs, they will give you a host of reasons, such as: to celebrate; to have fun; to forget problems; to relax; to experiment; to impress (it is cool to drink); to be fashionable; to mingle; for business purposes. People want to conform to peer pressure. I am amazed at the way peer pressure compels with phrases such as: "Aren't you my friend? "; "One for the road"; "One for my health." Drinking and driving cost lives. ,* the Hospital Association reports that half of all hospital admissions are alcohol-related and according to the National Safety Council's 1999 Accident Facts Edition, a person is injured in an alcohol-related crash every 60 seconds.